Coming back from war is never easy, as Sergeant Dave Henley’s platoon discovers all too quickly when they return from fighting in Afghanistan. Life at home is very different than on the battlefield – for everyone. When they are summoned back to Helmand to protect the US team assigned to destroy the opium crop, it is almost a relief to the soldiers, if not to their wives, girlfriends and families who are turned inside out once more by their men’s sudden departure. Like War Torn, Battle Lines is at once a gritty, close-to-the-action thriller and an involving story of the stresses and strains which families and relationships suffer when separated by thousands of miles and a wealth of experience. 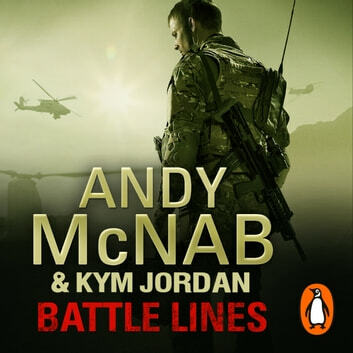 This is everyday life made brilliantly real by Andy McNab, whose continued involvement with the men and women of the British Army gives this extraordinary novel its authenticity, its toughness and its heart.